Renovated in 2014, this four-story, four-bedroom townhouse offers lots of charm, a spacious kitchen and bespoke hardwood floors. The stunning top-floor master bedroom is a Wi-Fi death trap to end all death traps—as is most of the back of the house. But hey, there’s a soaking tub! Thankfully for you (and my family), I take my job of 24/7 home tech support and Personal Tech columnist seriously. That’s why I tested six mesh Wi-Fi router systems. Unlike a standalone, traditional router that struggles with long distances, a mesh is a team of routers. The system comes with a main base station that connects to your broadband modem (that black box that likely came from your service provider). The system also includes one or more smaller routers, aka access points, that you place around your home. 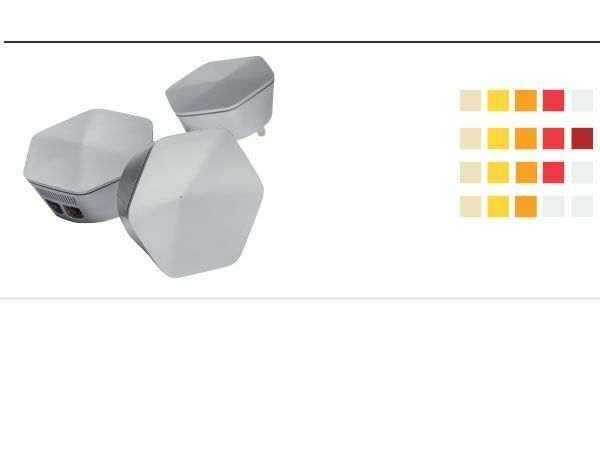 They wirelessly join forces to form a single network that smothers your home in Wi-Fi. This may be the most underrated home technology of the past five years. And it’s not just for big houses—even smaller apartments with odd layouts or older walls can benefit. What used to require visits from a service tech now requires a $180-to-$500 system, a smartphone app and 30 minutes of your time. If that seems pricey, just picture the money you spend for monthly broadband service floating in the toilet whenever you experience dial-up speeds in your den. It’s not surprising that mesh Wi-Fi system sales have nearly doubled in the U.S. over the past year, according to consumer-tracking service NPD. But if you’ve held out, there’s good news: Many first-generation products were buggy and had near-constant software updates. The latest crop has vastly improved hardware and smarter apps but also new confusing pricing structures and added privacy concerns. After climbing more stairs than Rocky during my four-story test, I’ve got solutions to your home Wi-Fi problems. When my only source of Wi-Fi is my traditional Verizon Fios router in the basement, conditions on the top floor are basically unlivable: dropped connections, fuzzy Netflix and a tenth of my paid-for internet bandwidth. 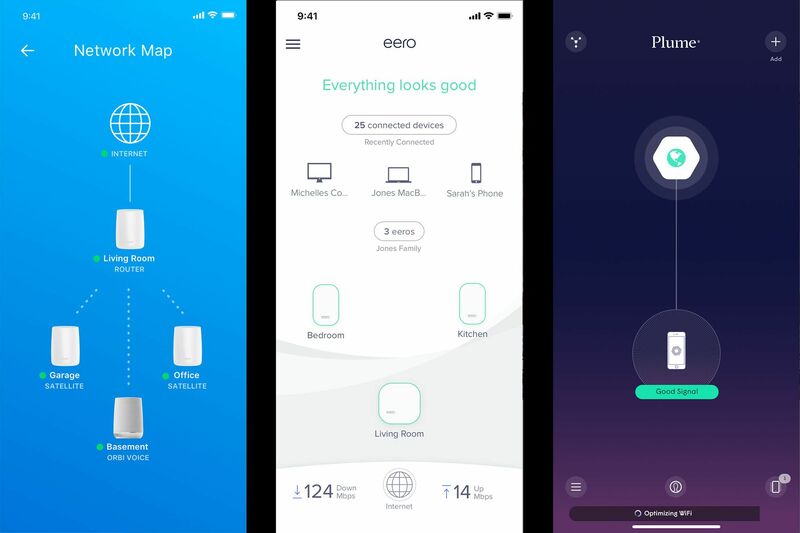 Strong performance and a very simple app make the Eero our other top choice. You just have to be willing to pay a little more. Note: Price is for three-pack. When I connect a mesh base station instead, and install access points on the second and fourth floors, I get full signal strength, season two of “Ozark” in crisp 4K and nearly my full 100-megabit-per-second upload and download speeds—almost anywhere in the house. Often placing last in performance and range tests, Google's option is hard to recommend even if it is cheaper than the others. As you move through your home, your phone, laptop, smart speaker and other gadgets should connect to the closest access point. The handoff depends on various factors, including the wireless technology in our gadgets and in the router, says Tim Higgins, managing editor of router-review site SmallNetBuilder. On the Eero and Netgear networks, my iPhone and laptop switched over to the closest access point quicker than when they were connected to other networks. Eero Chief Executive Nick Weaver says the company works with some of the most popular device makers to optimize this handoff. 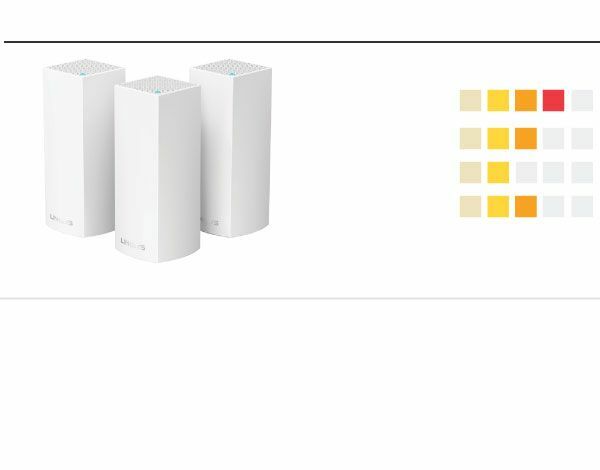 You can see which access point you’re connected to in the router’s app but can’t manually connect to a particular one. Years ago, you set up and managed your router through some ancient-looking web interface. Adding a Wi-Fi extender—a secondary access point that is the ancestor to those we’re talking about now—required a degree in electrical engineering. Now, all of these mesh router systems come with simple apps. After a painless setup, they let you see what devices are connected to the network, turn off access for certain devices and turn on parental controls and guest network access. Of my top picks—the Eero and Netgear Orbi—Eero’s iPhone and Android app impressed me most. It’s cleanly designed, easy to navigate and responsive. Netgear’s apps provide similar information and tools, but in a less flattering interface. Cool-looking pods and a slick app make Plume worth a look—especially if your internet service provider offers it. But most features require a $60 annual fee. Plume’s super-cool app and behind-the-scenes software deserve honorable mention. They offer a glimpse of where routers are headed. After testing Plume a few days, I unplugged it. I soon got an email from Daniela, a Plume customer-service rep, asking if everything was OK.
Plume CEO Fahri Diner says the company is focused on building a cloud-based, concierge-like Wi-Fi service, not just a hardware system. Plume charges less for its small, attractive Plume Pods, but requires a $60 yearly fee for all the support and software extras, including advanced parental controls and guest networking. 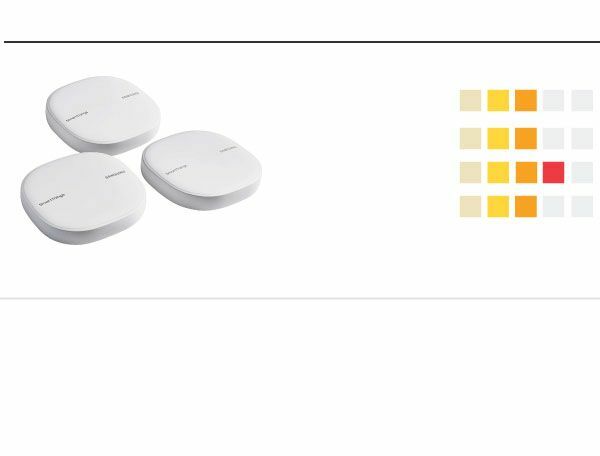 The startup company also licenses technology to other brands, including Xfinity (xFiPods) and Samsung’s SmartThings. Samsung’s SmartThings marries mesh Wi-Fi with a smarthome hub. Just know that since it's powered by Plume, you'll need two apps to do everything. Netgear and Eero also offer subscriptions: Eero provides extra security and control, Netgear adds personalized support. I’m just not sold on subscribing to router service. Plume’s new approach also immediately set off the privacy questions. How much data is being collected by these new smarter router systems? Where is that data going? All of the makers of the products I reviewed pointed me to their privacy policies. These stated that they collect information about the types of devices you use (operating system, nickname given to the device, etc. ), their network and connectivity strength and other analytics about performance. When we got it working, the Velop delivered fast speeds and solid range. But with a buggy setup process and wonky app, it doesn't live up to its high price. The companies told me they don’t log internet use on the network, nor do they sell any collected data to third parties. What these new systems are good for is keeping up with the latest security. It’s easier to see what devices are on your network, kill off access to unwanted ones, set up guest networks for visitors and stay current with security patches. After my many tests and hours of deep thinking about each of their pros and cons, the Eero and the Netgear Orbi tied for my top pick. 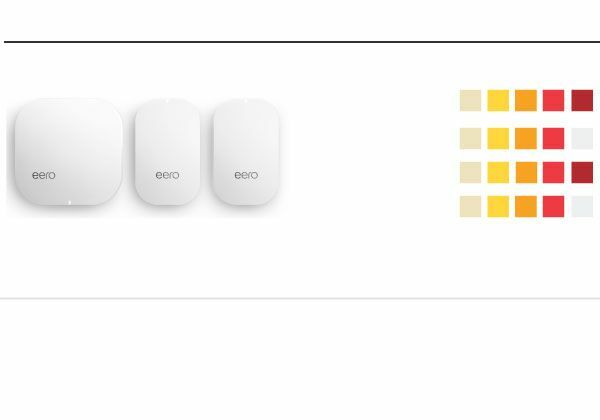 At $399 for a three-pack, the Eero is more expensive but its app was easiest to use and most reliable. At $300 for a three-pack, the Orbi is more affordable, provides stellar speeds and offers most of the same features—just in a less compelling app. 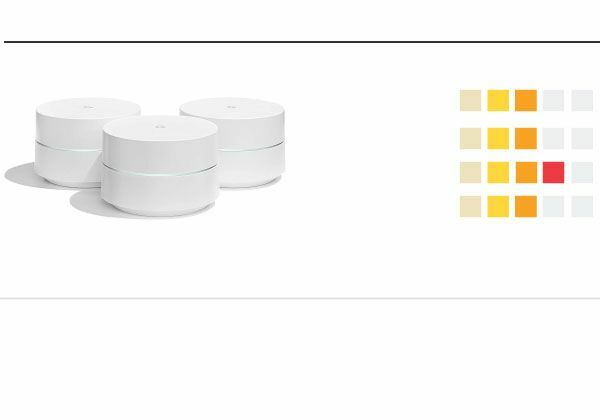 Plus, Netgear now offers both a mesh base station and access point that double as Alexa smart speakers. The speaker quality is impressive, and why have two cylinders in your kitchen when you can just have one? Netgear has also teamed up with AT&T and Verizon to sell Orbis directly to broadband customers. 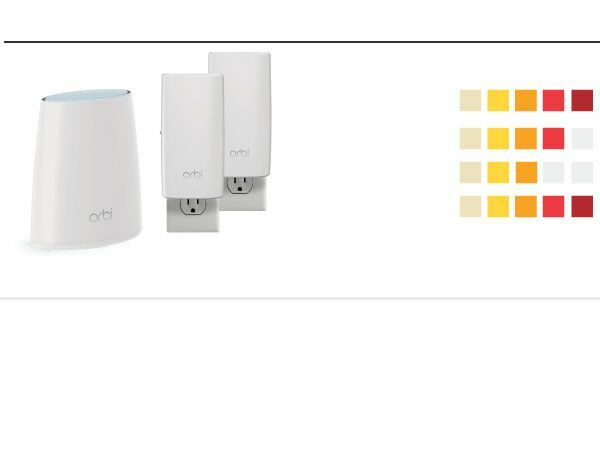 The fastest in the test, Netgear's Orbi ties with Eero for top pick. It even has an add-on node that doubles as an Alexa speaker. But its smartphone app isn't great. The biggest shopping question you’ll likely have is how many access points you really need. If you have a multilevel home or one with brick or concrete walls, a three- or four-pack is the way to go. For single-level apartments or condos, Mr. Higgins suggests starting out with two. You can always add another later to demolish that last remaining Wi-Fi death trap and maintain your new job title: Master of the Mesh.